On the 143 opening day for MLB, students from the Austin area had the opportunity to honor a former US veteran and MLB pitcher living in the area. 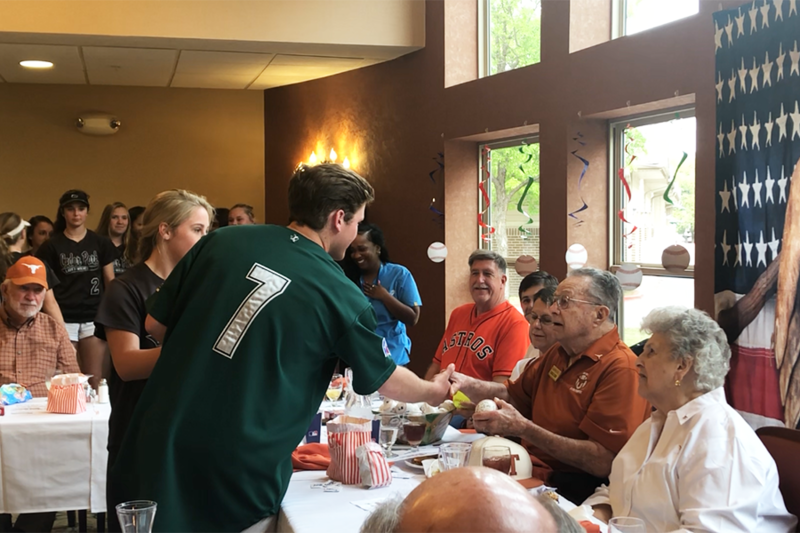 On March 28, players from both the softball and baseball team honored former University of Texas and MLB pitcher, Charlie Gorin, at a celebration held at Lakeline Oaks Retirement Community. While playing for UT, Gorin won two national championships in 1949 and 1950. Gorin also played for the Milwaukee Braves in 1954 and 1955, where he posted an 0-1 record with 12 strikeouts. 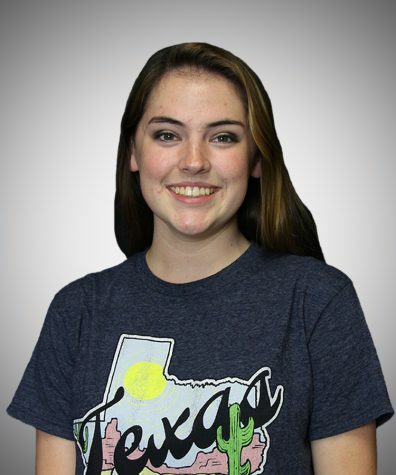 “It was just so much fun and it really brings the residents so much joy because they just love hanging out with the younger generation and having a party,” sophomore Grace Cox, who works at Lakeline Oaks said. In the midst of Gorin’s baseball success, Gorin had to put his love for the game on hold after getting drafted to fight in World War II and The Korean War. Because of Gorin’s success on the baseball field and courage on the battlefield, Timberwolf baseball and softball players, seniors Brooks and Mackenna Raby, had the opportunity to present Gorin with a baseball and softball to show their appreciation for all the work he has done for the sport. At the event, the guests were able to have the ballpark brought to them, served with ballpark staples such as Cracker Jacks and hot dogs. They were also able to sing along to the national anthem in honor of Gorin’s service to the country and to enhance the baseball park field of the event. After being honored by local athletes, as well as former UT alums and MLB players, Gorin handed out baseballs to everyone to show his appreciation for those who attended the event. Gorin also gave his own words of wisdom for those who wished to continue their baseball journey in the future.